As a department, we are committed to examining, understanding, and addressing environmental challenges from an interdisciplinary perspective. This interdisciplinarity is found in our scholarship, teaching, and programming that bridge the natural and social sciences, and influences the ways in which we think about the causes of and solutions to complex, contemporary environmental issues. Crucial to this approach is a recognition that degradation of our planet and social injustice are intricately intertwined. Our faculty undertake environmental scholarship across diverse social, natural, and human-managed systems and built environments. Our curriculum is designed to emphasize experiential learning and enhance practical environmental problem solving skills in order to enable our students to more effectively address the environmental challenges of the 21st century. We strive to acknowledge and practice diversity in our approaches to knowledge, reasoning, learning, departmental composition, and community engagement. 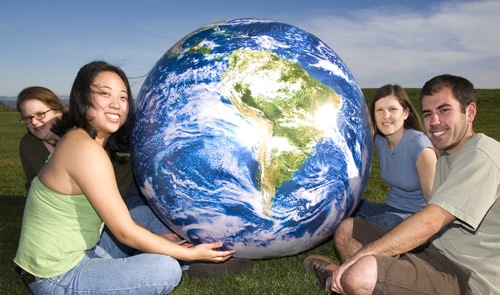 Our undergraduate program offers courses in a wide range of areas of environmental studies, and provides many unique opportunities. For example, in our Internship Program students work in community organizations, receiving practical experience that supplements classroom learning. Undergraduates can also work as research assistants with our faculty, with research projects and studies. 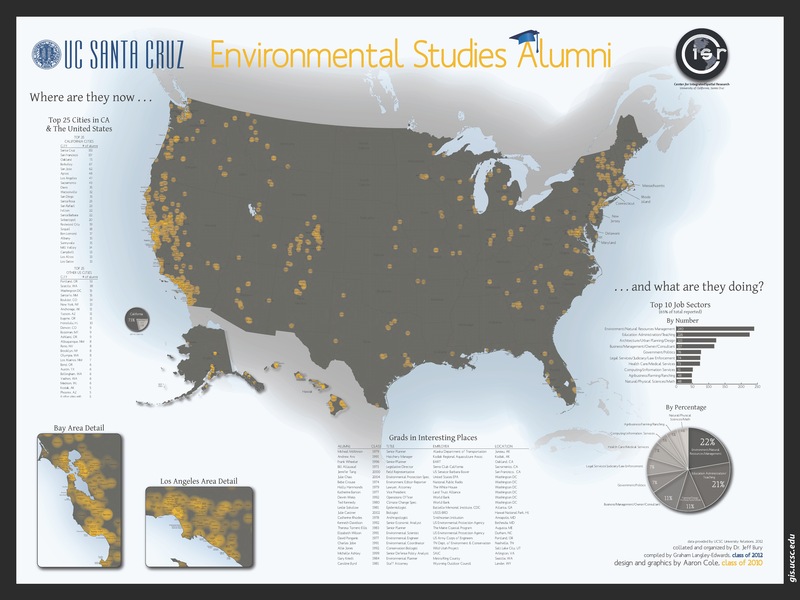 We have a list of recent alumni and a U.S. map that shows where some graduates have gone on to work after earning their degree in Environmental Studies. Please contact us if you'd like to be included! In our graduate program, students work closely with faculty to develop and conduct original research. Coursework provides depth of knowledge in the student's main areas of interest, as well as breadth in other areas of environmental studies. We have excellent facilities, and conduct cutting edge academic and policy-relevant research. 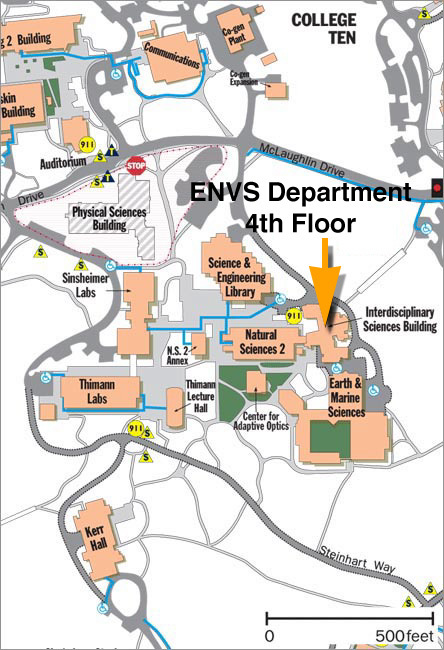 We are located on the fourth floor of the Interdisciplinary Sciences Building, in the Science Hill area of campus. Please email with general inquiries to envs1@ucsc.edu. You can direct your questions to individual department members by using the Staff and Faculty Directories, linked to at the left of this screen.